, a gripping psychological thriller filmed and set in Brisbane, exploring how a single action has a ripple effect building to tsunami proportions. Another, Dead Lucky, is a crime drama with a difference starring Rachel Griffiths, revealing the complexities and tensions in cross-cultural relationships. 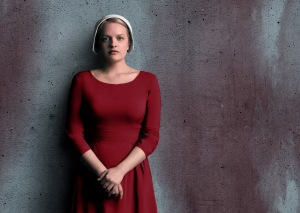 Next year will see the final series of Benjamin Law’s coming-of-age series The Family Law for a third and final season while SBS’s biggest On Demand hit, The Handmaid's Tale, returs for a second series in April. Offred returns for another season of hit drama Handmaid's Tale. There’s also more Vikings, Tom hardy's Taboo, The Good Fight and new US series Berlin Station, about CIA officer Daniel Meyer who goes from being an analyst at Langley to an undercover agent in Berlin. NITV will also show scripted drama in Grace Beside Me, a children’s series adapted from the award-winning novel by Sue McPherson, and Homecoming Queens, the first local commission for SBS On Demand is a semi-autobiographical ‘sad-com’ from an all-female creative team following 20-something best friends as they reinvent themselves after chronic illnesses. SBS’s renowned documentaries should provide plenty of thought provoking moments and kick off with a second series of the Filthy Rich and Homeless, which will explore the policy decisions that perpetuate the vicious cycle of homelessness in this country. It will be set in a different city. The most awarded Australian documentary series of all time – Go Back to Where You Came From – returns for a fourth season with a difference. Go Back Live will be one of the most ambitious live television events in Australian broadcasting history. Over three nights, it will use the latest technology to give a snapshot of the global refugee crisis by presenting stories from the front line, as they happen in real time. Australia ranks 46th on the Global Gender Gap Index, down 10 places in the last year alone. Is Australia Sexist? will explore an issue dominating global headlines and contribute to a national debate. Muslims Like Us reveals what it is like to be an Australian muslim. 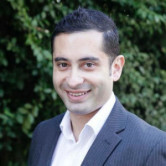 In Muslims Like Us, 10 Australian Muslims with contrasting world views will move into a house together for eight days. Their passionate debates, honest disagreements, humour and insights will reveal what it is like to be an Australian Muslim today. SBS will also dive headfirst into issues and stories impacting individuals and society with new commissioned titles like Marry Me, Marry My Family; the return of the Untold Australia series and the beloved Who Do You Think You Are? which will reveal the fascinating pasts of Charlie Teo, Natalie Imbruglia, John Jarratt and Ernie Dingo amongst others. Craig Foster and Lucy Zelic will lead coverage of this year's FIFA World Cup. The presentation of SBS’s sports line up by Craig Foster and Lucy Zelic began with a touching tribute to former colleague and SBS sports custodian Les Murray. The biggest sports event on television next year is one that was close to Murray’s heart, the 2018 FIFA World Cup in Russia. SBS will air live 25 games from the tournament including the opener, semi-finals and final. It will also show all Socceroos games if they beat Honduras tonight. Other notable additions to SBS sport is the French Open tennis tournament, which adds to the US Open SBS recently picked up. There’s also the most comprehensive cycling coverage on TV with Le Tour and the Vuelta, while NBL basketball coverage continues. Another notable content boost is that SBS’s news coverage will soon have its own app. This year SBS News increased its audience by 8% and is regarded as the most trusted source of new on television, a well-earned tribute to Janice Petersen and her team. Overall, SBS continues to air the sort of TV programming that other TV networks will not touch that provoke thought and challenge Australian society in the way we perceive ourselves and others. It’s another promising and confident year ahead for a channel that embodies our diversity and continues to be a trailblazer in Australian television in many important ways. Black Divaz will screen on NITV next year. SBS promises to entertain, inspire, challenge and shift the dial on attitudes in a 2018 schedule that tackles diversity in culture, gender, sexuality, age and lifestyle. The multicultural broadcaster was keen to push the diversity dial even further at its upfronts event in Sydney yesterday. SBS managing director Michael Ebeid told a packed audience of media buyers and stakeholders that over the past years SBS has evolved more than any other broadcaster to become “Australia’s most agile broadcaster”. This was illustrated by the five distinct media channels that SBS has cemented in that time - its primary channel, SBS Viceland, NITV, Food Network and SBS On Demand. “SBS remains the only network that truly lives diversity, not just reflecting it on and off screen but certainly behind the scenes in how we work our culture in the organisation and the stories and the perspectives we share every single day,” he said. “This gives SBS a genuine point of difference in an otherwise cluttered market as we adapt to the changing needs of our audiences and the changing cultural complexity of our nation as well. In 2018, SBS will bring five new commissioned Australian drama series across the network. Perhaps the pick of these appears to be Safe Harbour, a gripping psychological thriller filmed and set in Brisbane, exploring how a single action has a ripple effect building to tsunami proportions.